The new Suzuki Jimny will be offered in 2 models - Standard base model and a slightly bigger Jimny Sierra and both will be offered in 3 trims each - XG, XL and XC. 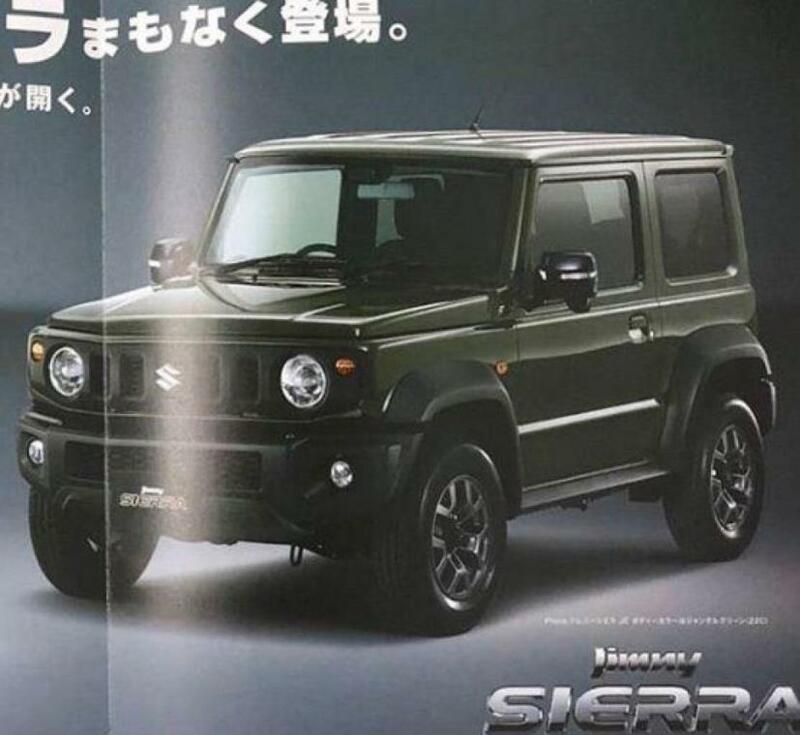 The official brochure of the new-generation Suzuki Jimny has been leaked online revealing a bunch of new information that was previously unknown. 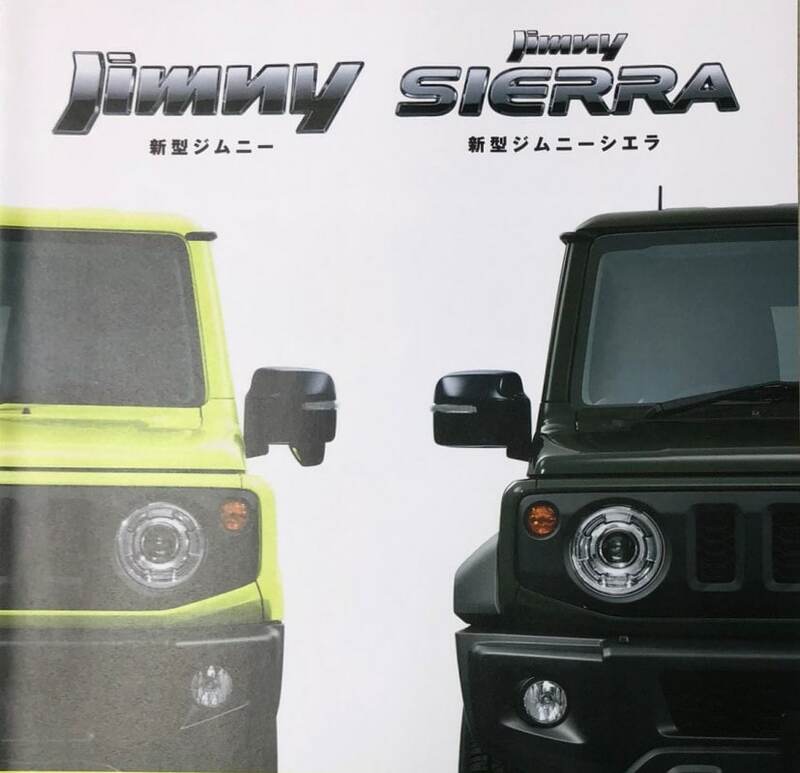 The brochure confirms that the small 4x4 SUV from the Japanese carmaker will come in two version - the Standard base model and a slightly bigger and more equipped Jimny Sierra and both will be offered in 3 trims each - XG, XL and XC. 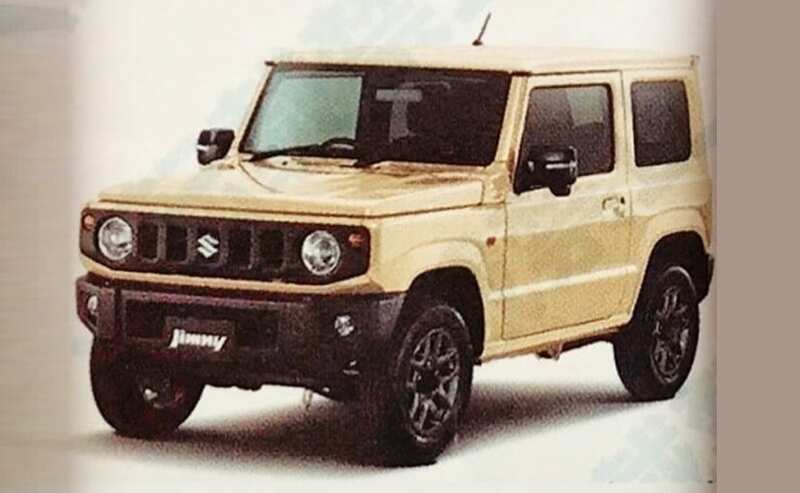 The new Jimny is set to make its official debut next month on July 5 and ahead of its official unveiling, the SUV was also showcased to a select group of people, images of which were recently leaked online. Visually, the new-gen Suzuki Jimny will come with some heavy design and styling updates, which give the small 4x4 an all-new look. In fact, thanks to its boxy design and square window we can't help but notice how the new Jimny look like a baby version of the Mercedes-Benz G-Class. Other visual updates for the Jimny include the iconic five-slot grille finished in matte black, a pair of classic round headlamps and individual turn indicators, a black heavy duty front bumper with a wide central airdam and round foglamps on either end. The SUV gets an imposing stance thanks to the boxy wheel arches that house a set of stylish black five-spoke alloy wheels. The black treatment is further extended to the ORVMs, and the roof a nice contrast. In terms of dimensions, the new Suzuki Jimny measures 3,300 mm in length, 1,475 mm in width, and 1,715 mm in height, while the wheelbase is 2,250 mm. As mentioned above, the top-spec Jimny Sierra is 300 mm longer and comes with flared wheel arches, which have extended its width by 125 mm wider. 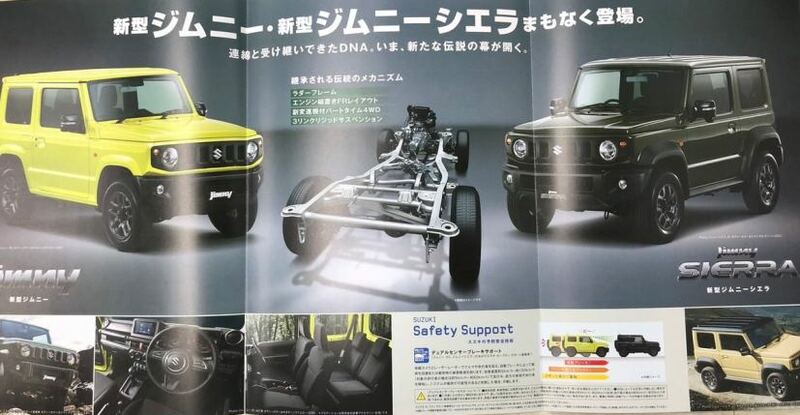 The Jimny will come in a bunch of both single tone and of dual tone options Jungle Green, Medium Gray, Blue Ish Black Pearl, Silky Silver Metallic, Spare White, Pure White Pearl, Kinetic Yellow (dual tone), Chiffon Ivory (dual tone), Blyisque Blue Metallic (dual tone). However, only the top-spec XC variants come with a dual-tone exterior. 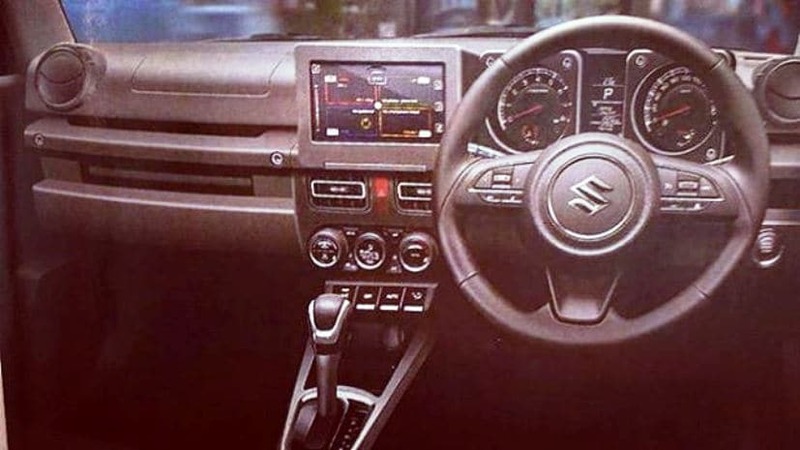 The new Suzuki Jimny will also get a new cabin with all black interior and a well-equipped dashboard where the centre stage is taken by a larger SmartPlay touchscreen infotainment system. The centre aircon vents are similar to the ones seen in the Ignis, while the automatic climate control is carried over from the new Swift. Other features include keyless entry, engine start-stop button, automatic headlamps which will be offered in the top-spec models. Under the hood, the new Jimny will come with a 0.66-litre turbocharged, three-cylinder petrol engine, while the Jimny Sierra will get a 1.5-litre, naturally-aspirated 3-cylinder petrol engine that produces 100 bhp. Both engines come mated to either a 5-speed manual or 4-speed automatic transmission. The SUV will also come equipped with Suzuki's Allgrip Pro 4x4 system for improved capabilities.